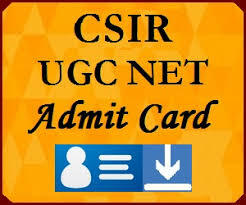 CSIR NET Admit Card December 2018 Released, Check Hall Ticket at csirhrdg.res.in: The Council of Scientific and Industrial Research (CSIR) has released the admit card of UGC NET 2018 examination on their official website, csirhrdg.res.in. The exam is planned to be held on 16th December 2018. The candidates who have successfully registered for the UGC NET 2018 examination can download their admit card from the official website of CSIR, csirhrdg.res.in. The UGC NET examination is conducted to select the eligible candidates for Junior Research Fellowships (JRF) NET as well as the worthiness of candidates for appointment of Lecturers (NET). This examination helps in determining the eligibility of the candidates in the respective of the subject areas. The mode of examination would be MCQ type and the result of UGC NET examination will be announced in the month of March or April, this year. The candidates who will qualify the exam successfully will get the fellowship from 1st July 2019. Step 2: On the homepage, you will find the download admit card link, click on that. Step 5: Download the admit card as well as take a print out for further use. CSIR UGC NET 2018 examination question paper will contain multiple choice questions of 200 marks. The question paper will further be divided into three parts – A, B, and C that candidates have to finish in three hours duration. The exam will be held in 2 shifts such as the morning and evening session. The subjects for CSIR UGC NET 2018 examination is life science, Earth science, Mathematical science, Chemical science, and Physical science. 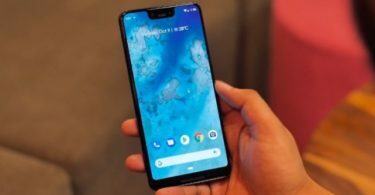 Bangalore, Bhubaneshwar, Bhavnagar, Bhopal, Chennai, Chandigarh, Cochin, Delhi, Guntur, Guwahati, Hyderabad, Imphal, Jammu, Jamshedpur, Jorhat, Karaikudi, Kolkata, Lucknow, Nagpur, Pilani, Pune, Raipur, Roorkee, Srinagar, Thiruvananthapuram, Udaipur and Varanasi.